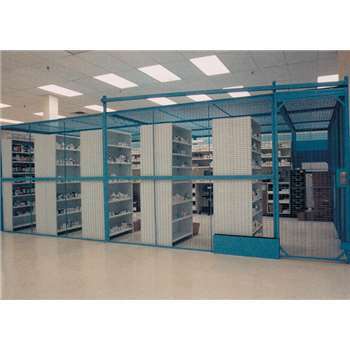 Design almost any wire partition system to meet your needs! 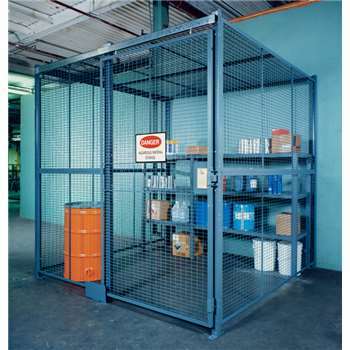 WireCrafters manufactures wire partitions for the commercial and industrial marketplace. 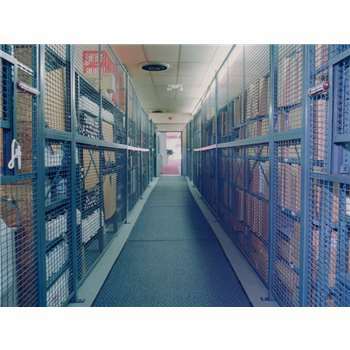 Wire partitions are modular steel systems that are used for safety, security, and separation. 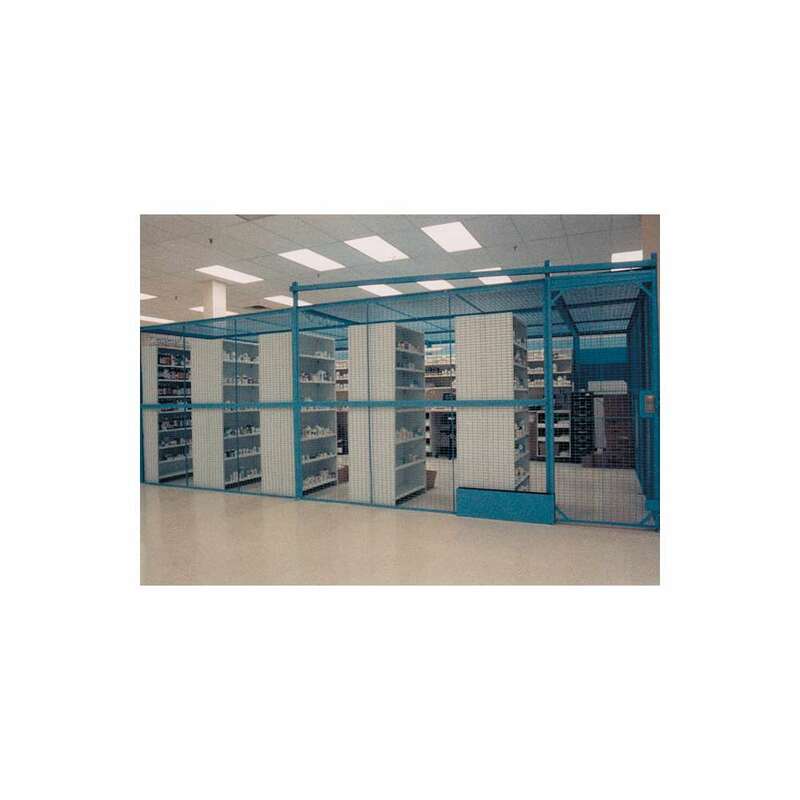 Mesh, welded or woven, is securely welded inside sturdy angle frames to create a single wire partition panel. 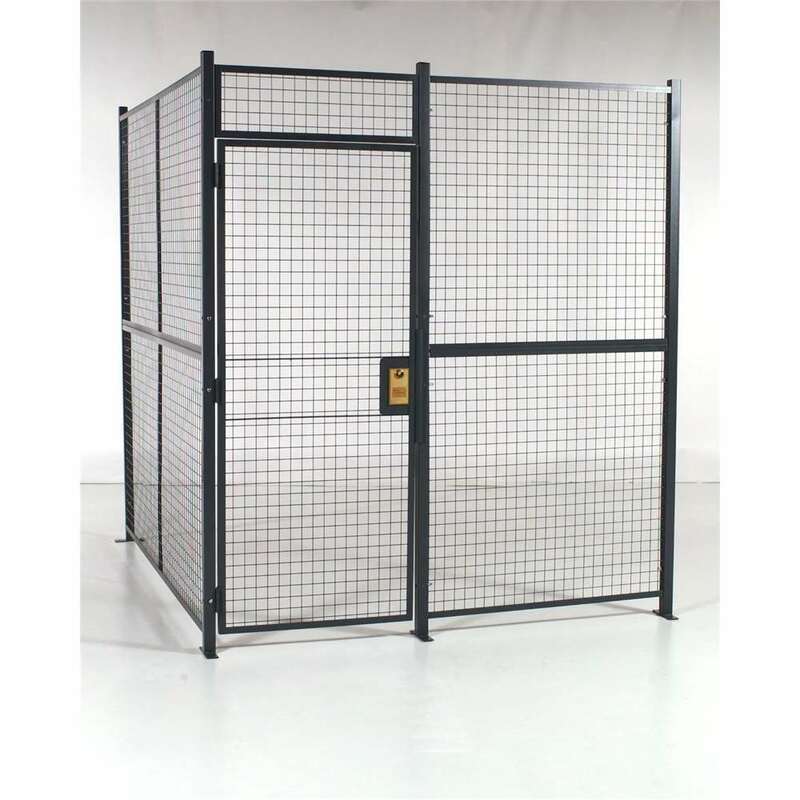 These wire mesh partition panels are then bolted to square steel tubing posts to create a strong and rigid modular wall or enclosure. Welded at every intersection. 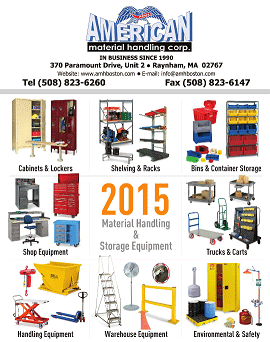 Provides increased strength & durability. 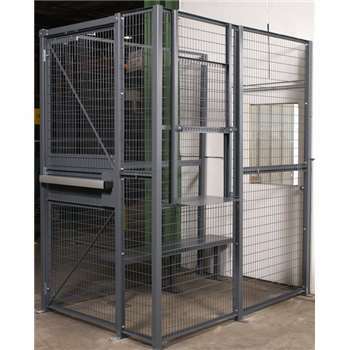 Ideal for machine guarding. 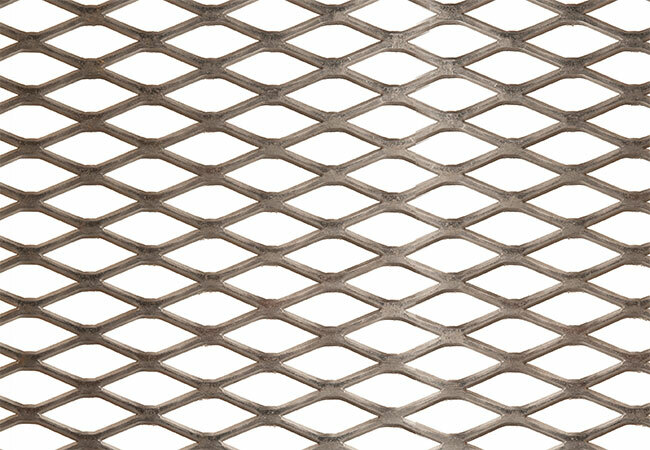 Aesthetically pleasing lines. 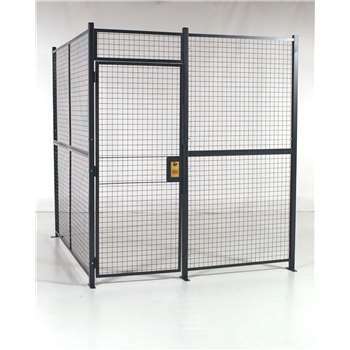 Provides another alternative mesh for wire partition products rather than using 2" x 1" woven wire mesh. 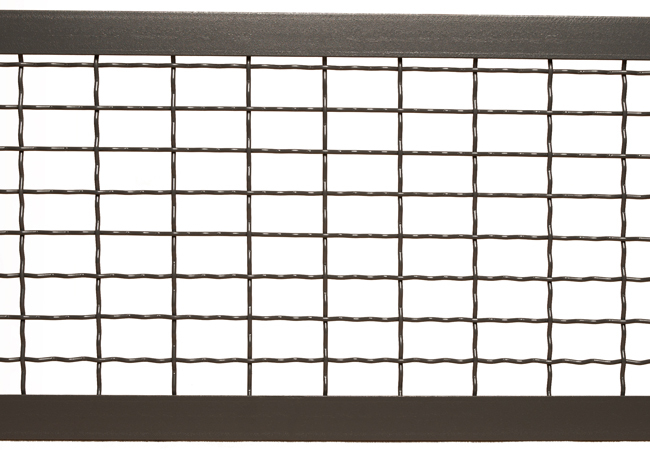 Stock Panels: Panels come in one foot increments from 1' to 10' wide, and in heights of 4' and 5'. 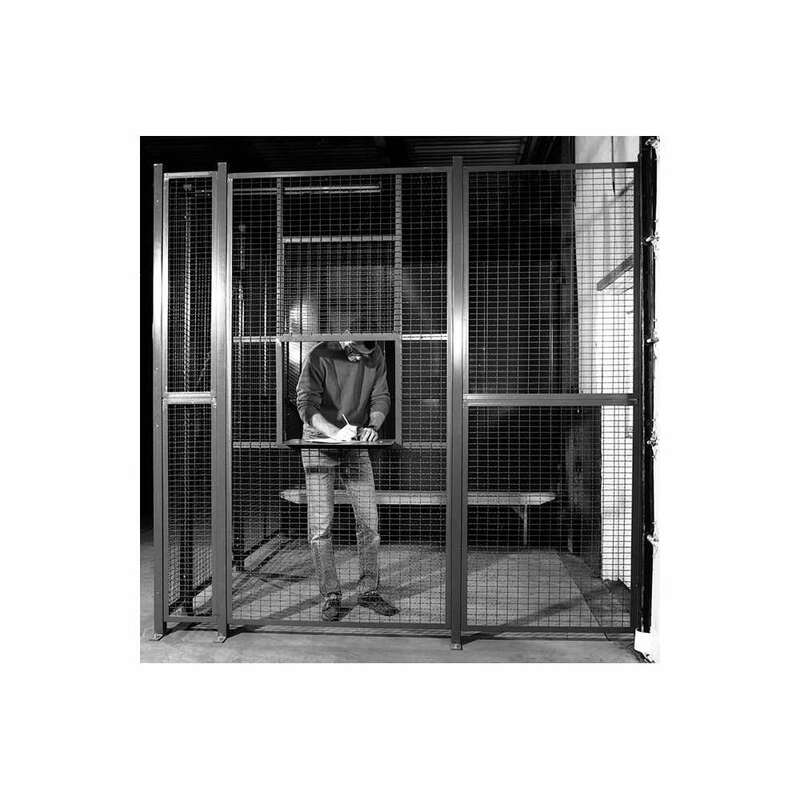 Common Configurations: Standard configurations of wire partitions are typically 2, 3, or 4-sided enclosures with an entry door to the caged area. 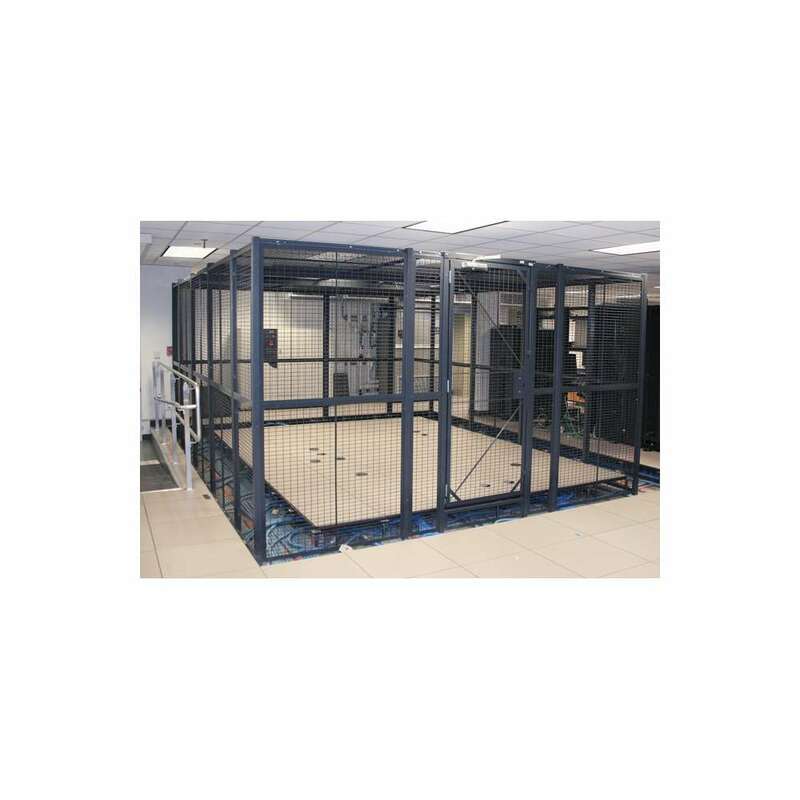 Endless Customization: Custom size panels and special heights are available. 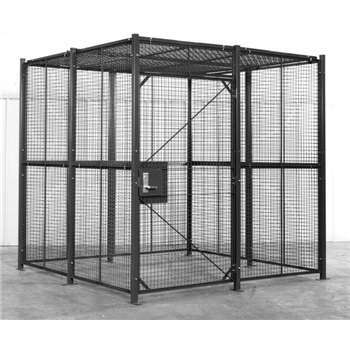 48 Hour Shipping: Stock panels and basic cages are kept in stock for quick 48 hour shipping across the U.S.
Wire partitions are used in manufacturing and warehouse facilities for tool cribs, maintenance equipment cages, and general storage areas. 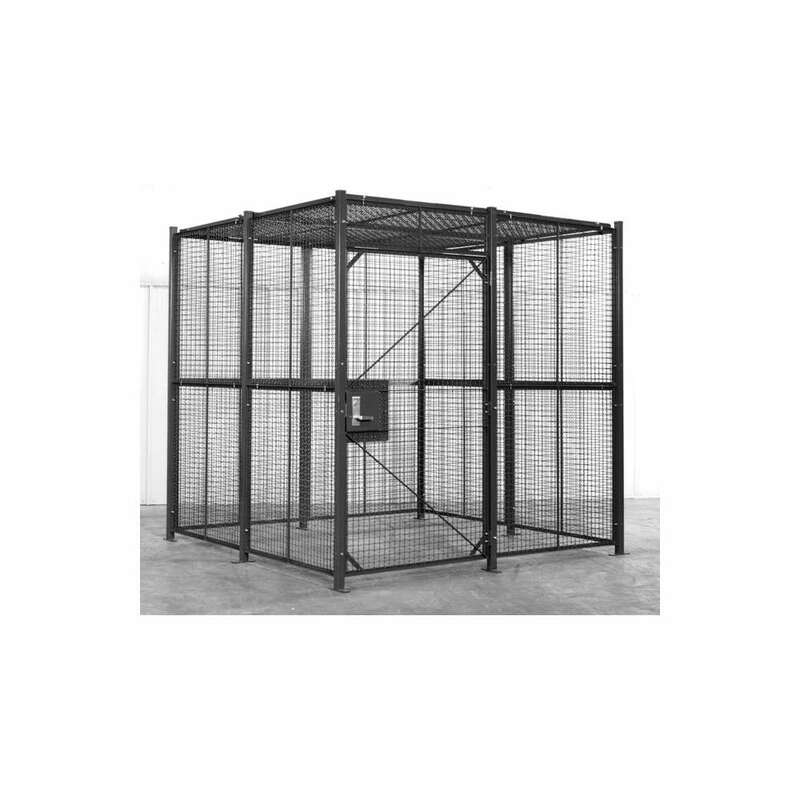 WireCrafters wire partitions are also used to build free-standing, multi-use storage cages and enclosures on facility floors. 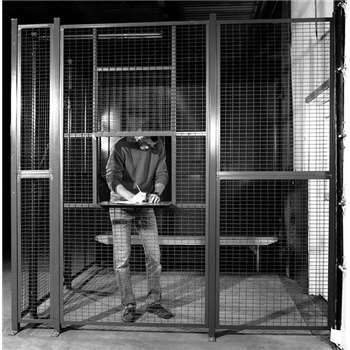 Secure enclosures are constructed with wire partition panels and used for inventory control where open access to products may be a problem. 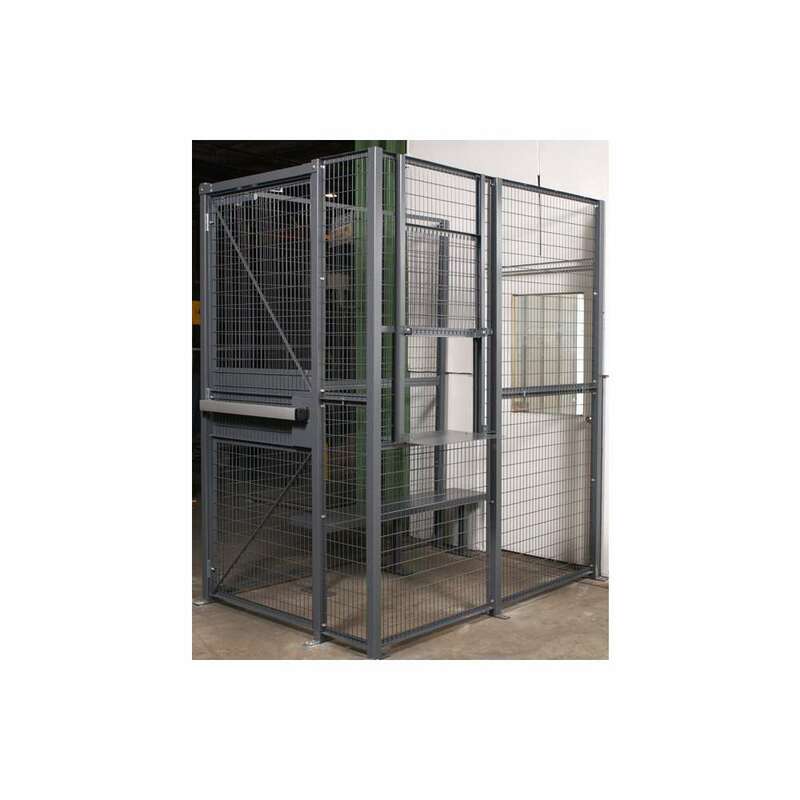 Wire partitions are commonly used for machine guarding and robotic work cells where safety is a major concern. 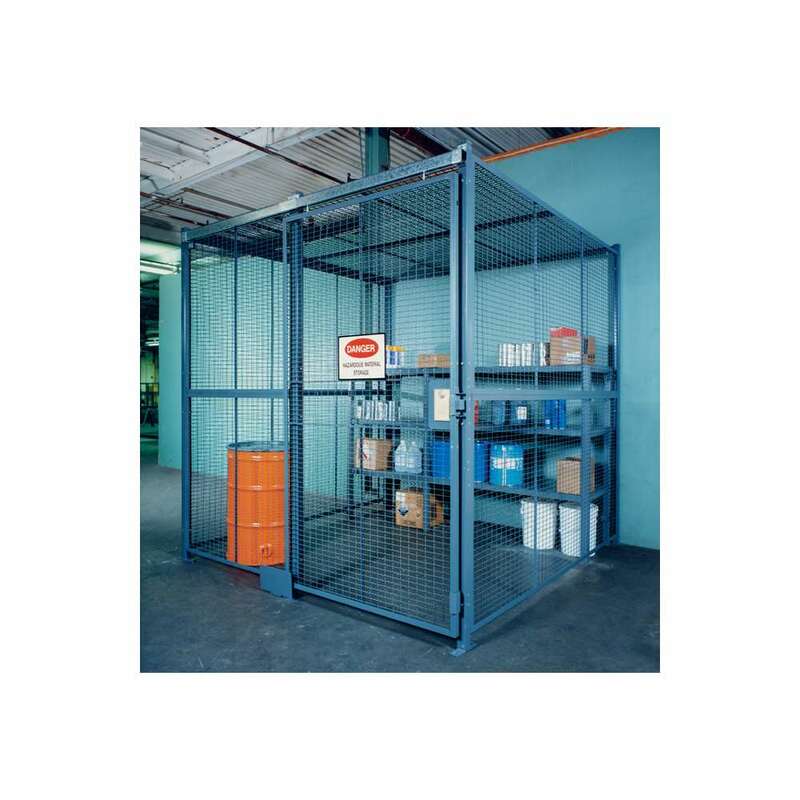 As a safety product, wire partition panels are bolted to the back of pallet racks to protect personnel in active aisle ways from potential falling objects. Non-plated parts receive one coat of gray acrylic enamel. Touch up paint included with each shipment. 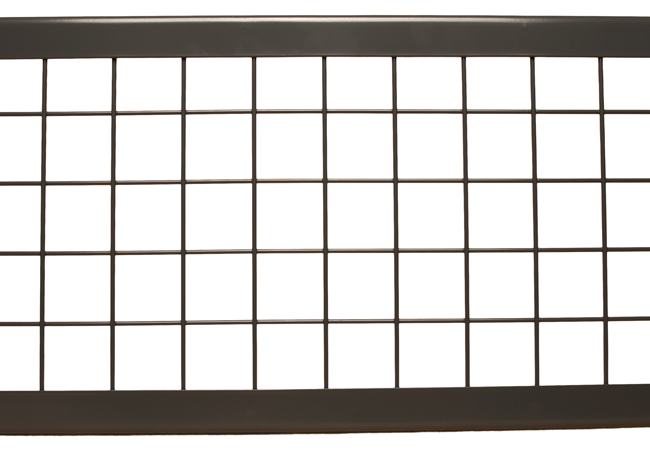 Other finish options available, including powder coat & custom colors.